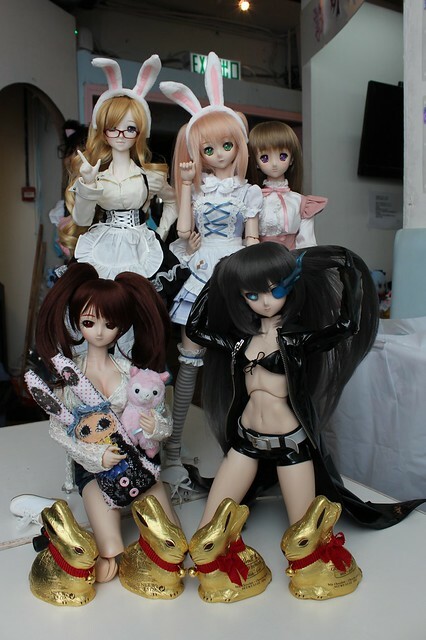 Last Friday afternoon I met up with Hong Kong-based Dollfie Dream owners SenorQuentinos, Stepswalker, TonyBSD and XOHimitsuOX for a small meetup at a maid café in Mong Kok area. 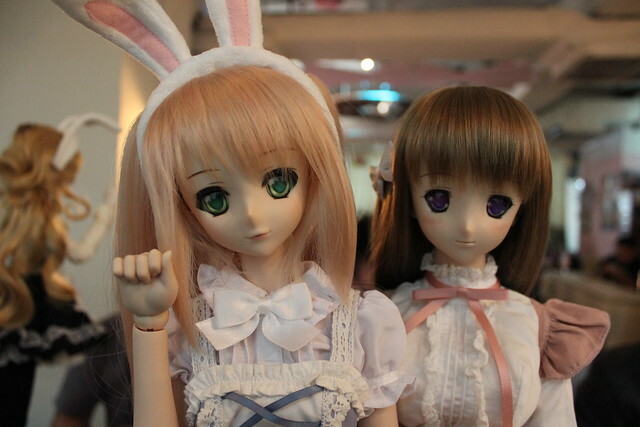 We went to the Café Maid Dreamin’ Akiba to hang out, have dinner and chat – and of course a few very pretty Dollfie’s came along too! I previously met Q’s Black Rock Shooter DD back in November, but I’m still awestruck by how stunning she is every time I see her. This time Q brought her cool flaming eye accessory too! 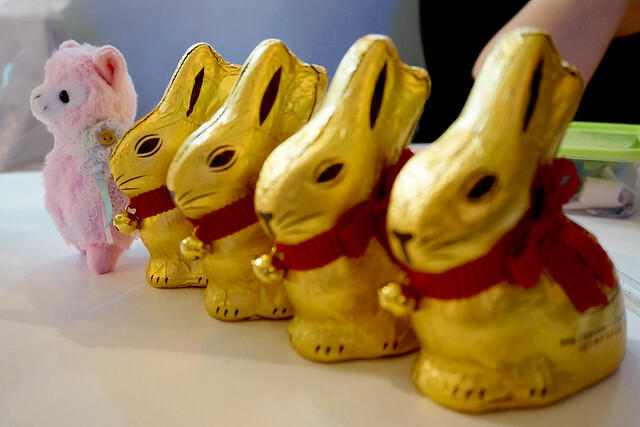 Tamaki and Gabi sharing a little Easter spirit! 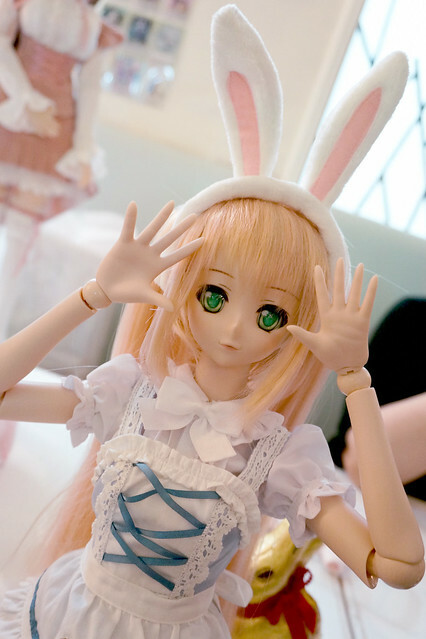 But I took the chance to play with a pair of the newly sculpted, larger hands for DD. Side by side with the older hands, these do seem a bit big, since the DDS arm is so slim but they photograph almost the same size! And without the smaller hand, the large hand actually looks alright proportionally! I was quite surprised. One of my favourite aspects of meeting up with DD owners is chatting in person, since things come up in conversation that often don’t arise on forums or twitter. 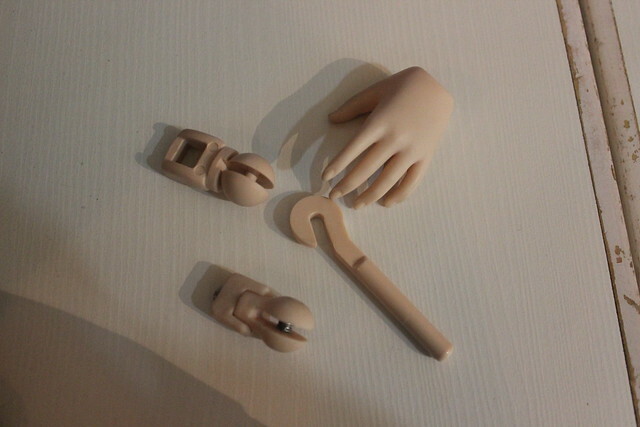 My mind was blown away to learn that the DD wrist joint comes apart like this!! And that there’s a special custom-made modification joint made by Wersaze that allows 360 mobility (more like how a human wrist moves)! 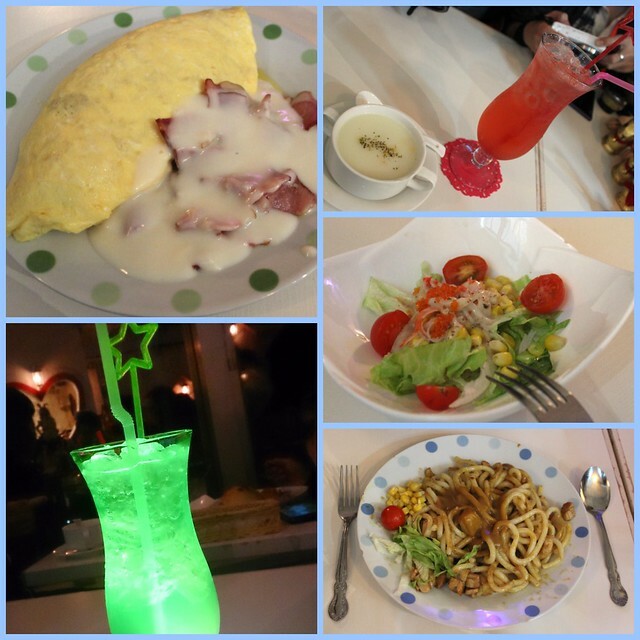 This was my first time going to maid café in Hong Kong and I was curious to see how different it would be from a Japanese one. 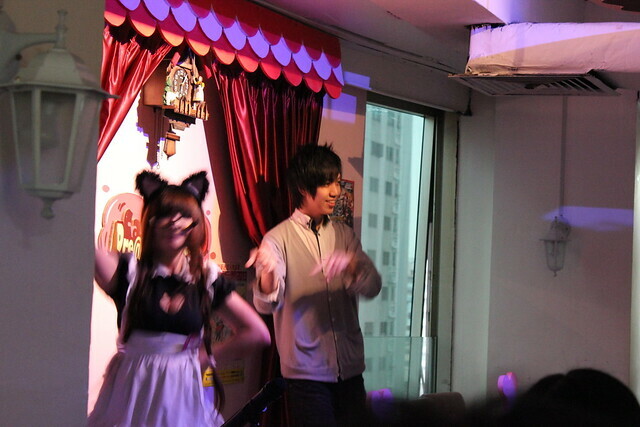 Every maid café has it’s own kind of “vibe” and the overall atmosphere at Maid Dreamin’ was very casual – kind of like a place where you would come after school to relax and hang out. For groups of guests they have cards and board games that customers can use, every 2 hours or so a couple of the maids perform a little dance but there’s a super package that includes dinner, a photo and the chance to get up on stage and dance with a maid in front of everyone! 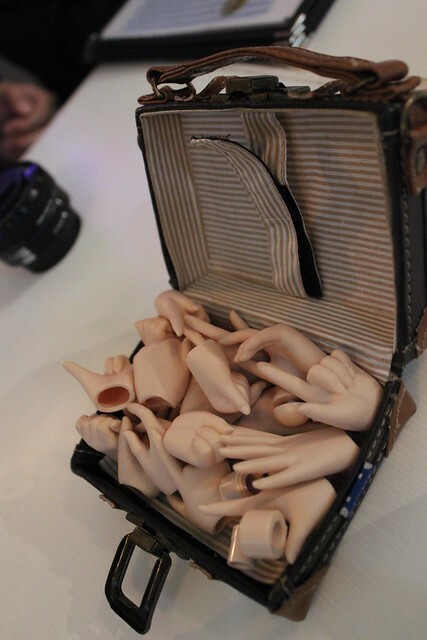 We were in for a rare treat, since someone bought this package while we were there! Here’s the Head Maid sending her love to the special drink that the guys next to us ordered. She was quite spunky and a bit sarcastic, which was her moe-characteristic. I had a lovely evening out with you guys! I learned a lot of cool little things that I didn’t know before and had a great time! We remembered to take a quick group photo before we parted in the “classroom” in the cafe! Too bad we’re blocking out the big “BAkA!” that was written on the chalkboard! Haha! Gabi was very happy to be able to exchange name cards with some new friends too! 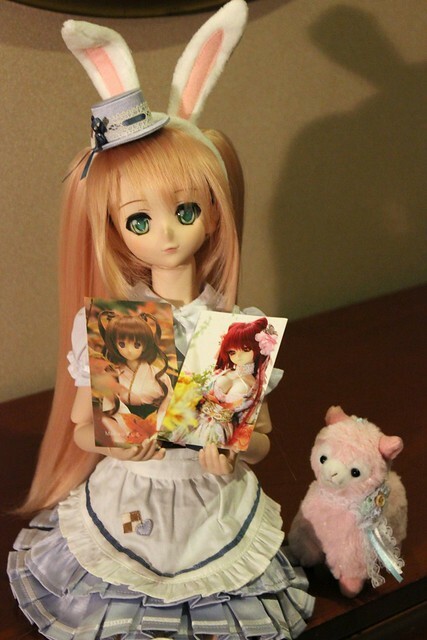 Here she is showing off cards featuring 2 of the girls that she met – TonyBSD’s Mashiro and stepswalker’s Tamaki. 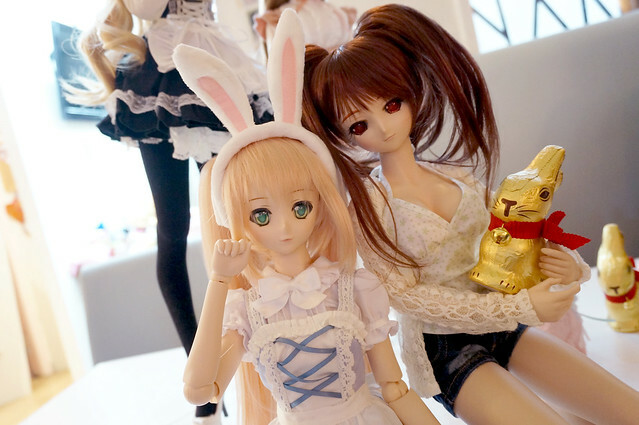 Tamaki with the ugly bunny she found at the cafe! 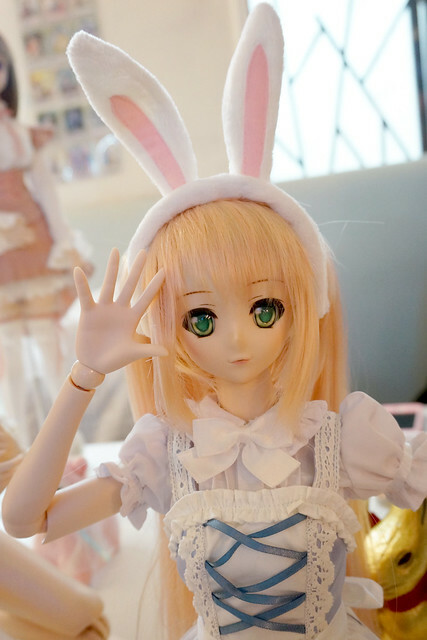 This entry was posted in Doll Meetup, Dollfie Dream and tagged Dollfie Dream, Gabrielle, Hong Kong, meetup by archangeli. Bookmark the permalink. 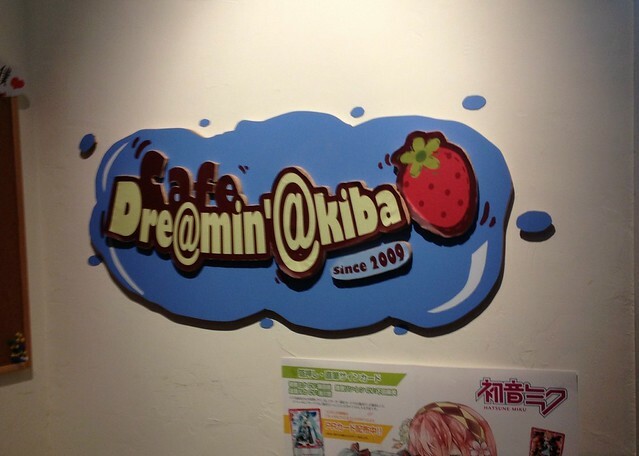 Hehe the cafe looks really cute actually! I like the school/classroom set up idea…it’s quite appropriate..oddly. Keke! That bunny & Alpaca pic is super cute!! (God I look awful; still recovering from a medication disaster at the moment orz). Oh gosh! 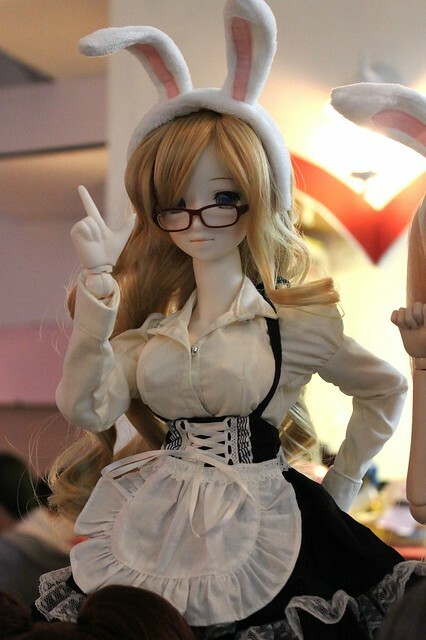 Did not know that there were maid cafes in Hong Kong, though I suppose I’m not surprised.